I recently interviewed for a job! I hadn’t interviewed in 14 years. It was a weird experience, searching my computer’s archives for my out-of-date resume. 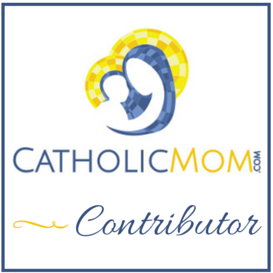 Looking back on it, though, I was reminded of the cool things I did “back in the day.” Granted, I have been so blessed to be a SAHM, but I guess I had forgotten some of my other skills, namely in the field of communications. Needless to say, I got the job! I am now a (very-part-time) receptionist for Weight Watchers, which means I will be working the front desk at meetings. I joined WW in 2004, after my second child was born. I LOVED the program and reached my goal in four months. About two months afterward, I found out I was pregnant with my third child. 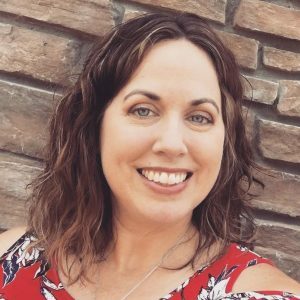 At first, I focused on all the hard work I had just done and how it would be undone with natural weight gain in the pregnancy. Of course, I was grateful for the blessing God surprised me with! But I admit, I did think a lot about the weight-gaining part of my pregnancy. However, I soon realized how this pregnancy was different, because I was much healthier going into it. I ate healthier because of the good habits I had formed, I gained less, and I was able to lose the weight more quickly. It was amazing, and really, it was my best pregnancy of all! I have returned to Weight Watchers after every pregnancy, and the program really is a good fit for me. It’s versatile, and it has helped me re-learn how and what to eat. After the birth of my youngest (and sixth) child, I realized I had reached a new phase in womanhood. The weight was a little slower to come off this time. But slow and steady does win the race. I revised my goal weight to consider my age and my multiple pregnancies, and I reached it this past fall. This time around, I added more exercise into my overall health and wellness plan. 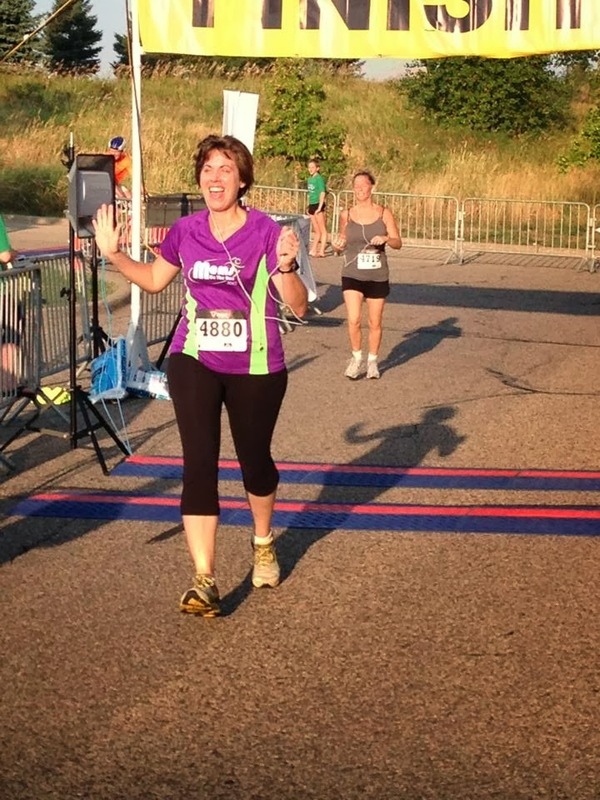 Last spring, I joined a running club called Moms on the Run. I mainly joined, because I was having a hard time fitting in exercise on my own, and what I really needed most was accountability. Not only was running going to be a permanent appointment on my calendar three times per week for weeks on end, if I was a no-show, I had a coach to ask me where I was. As someone who usually came in dead-last when we had to run the mile in junior high, the thought of choosing a running club seemed a little crazy. But my husband encouraged me, and so did a few close friends. 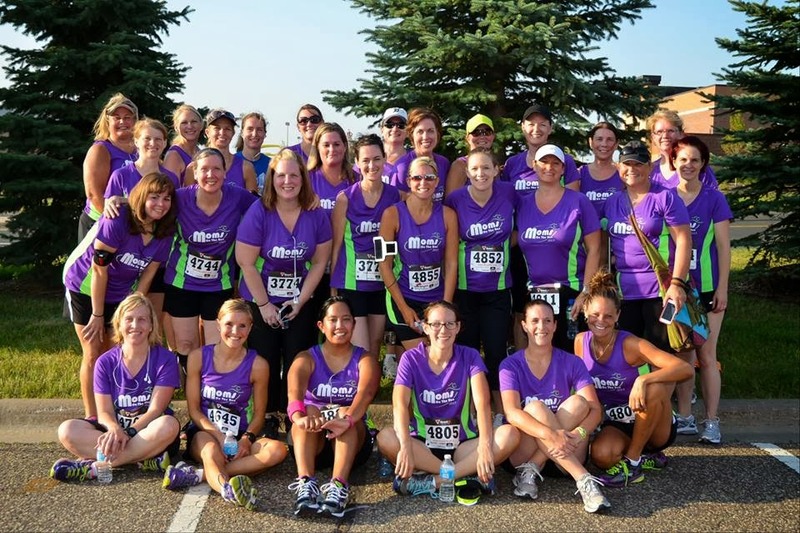 Plus, I really liked that this group was specifically for moms at all running levels and abilities. My running started out small, walking more than running, but with each workout, I increased my running and decreased my walking. Slowly, over 18 weeks, I, and all of my teammates, had become runners. All at our own pace. Some of the women were crazy fast, and some of us were slower. But we completed our season on one of the hottest days of the summer, as we ran a 5K race, some of us for the very first time. I am far from perfect when it comes to healthy eating and exercise. I have trigger foods (Can you say M and M? ), and I have weeks where I find it impossible to get any activity in, besides housework and chasing my 3yo around. 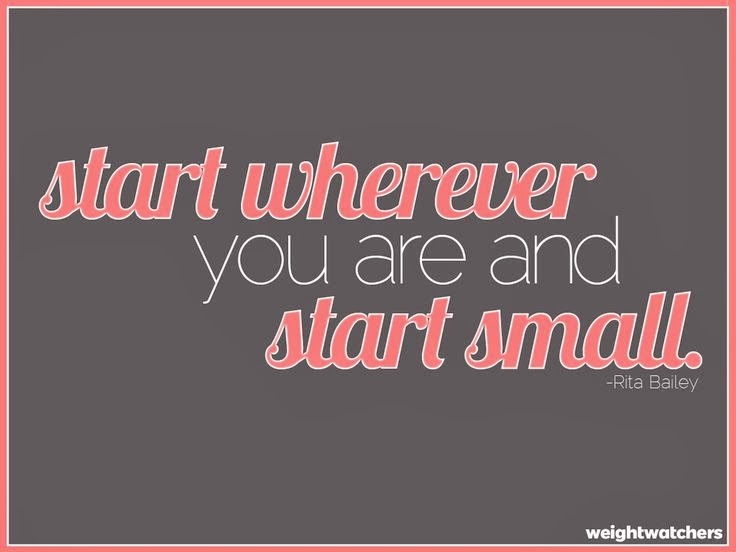 But through Weight Watchers and Moms on the Run, I am making progress, one baby step at a time! And I am grateful that I have found support and encouragement along the way! 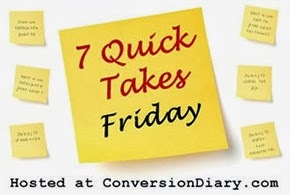 For more quick takes, please visit Jen at Conversion Diary! LOVE this post and can relate to it in a hundred different ways. How fun (and motivating) that you got a job w/Weight Watchers! Seeing your pretty face at the desk is encouraging me…slowly…to get back to their meetings. Because frankly, what I'm doing right now is not working. PS. Your new header is so lovely! This is awesome!! LOVE. I am not sure if you caught my hint in my post about the Sunshine award but I just found out I am expecting #9 in October. I am so thrilled about a having another baby but I totally freaked out about weight gain. I started feeling a lot of pressure about what I was going to do and knowing without a doubt that a number I didn't ever want to see again was eventually going to show back up on the scale. I have to be ok with that though and it will be worth it. It was so good to hear though that your pregnancy after the weightloss was better. That was a concern of my husbands for me. I am rambling, this was just so timely and I am grateful! Did you do any exercising during pregnancy? That is where I feel totally confused, since I was a bit of a cyclist and that would be a big no no! Oh and I agree with Margaret, love your new header! Hooray!!! That is awesome, Sarah! I've done WW after my 2nd child (I thought I was SO overweight! haha) and made my goal weight in like 4 or 5 months. I've been on again off again with it since then usually trying to do the WW on my own with my old materials. 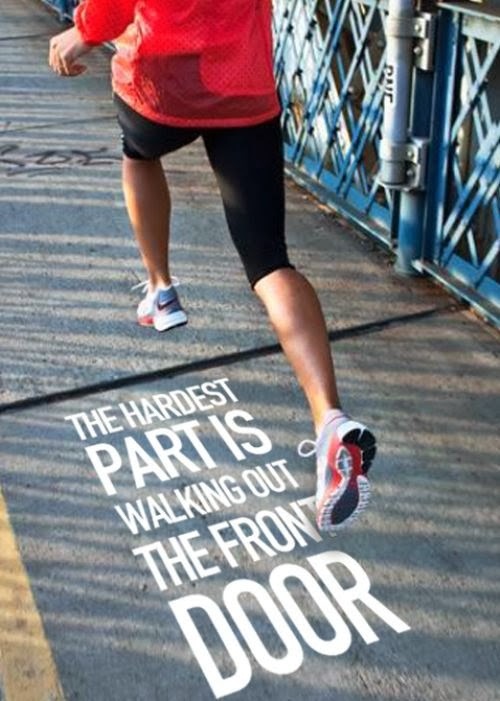 I've also tried to do the Couch to 5k program twice. Both times my knee got messed up. Messed up as in I could barely walk for a week. Ugh. I blame my weight and think my small bone frame (I'm only 5'2") can't take all that flab coming down on the joints while jogging. This is such an inspiring post though. Thank you for that! Wow! You are great! Congrats on your new job- I love being a secretary/receptionist. You get to meet some pretty awesome people! Margaret, I still attend the 7a meeting on Saturdays. Come back anytime, and I'll save a seat for you! And then we can go to Caribou for a SKIM latte! Amy!!! Congratulations!! I totally missed your secret message. I tried to figure it out, but I didn't get it. LOL I will write more in the comments on your blog! Kelly, thanks for the comment! The WW program has changed quite a bit, and I like the changes … Now fruit and most veggies are 0 points! Yeah!! 🙂 I had a knee issue last summer, too, but I think it was more to do with Zumba than running. I will start running again when the snow thaws. In the meantime, I am in a bootcamp class once a week and *try* to get to the Y, but mostly I do videos at home! Hi Little Wife! Thanks for stopping by! I am looking forward to my new work. I think getting out and interacting with people and helping them with their goals will be so much fun!